For reasons of both performance and energy efficiency, high-performance computing (HPC) hardware is becoming increasingly heterogeneous. 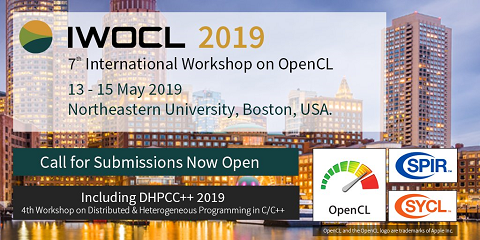 The OpenCL framework supports portable programming across a wide range of computing devices and is gaining influence in programming next-generation accelerators. To characterize the performance of these devices across a range of applications requires a diverse, portable and configurable benchmark suite, and OpenCL is an attractive programming model for this purpose. We present an extended and enhanced version of the OpenDwarfs OpenCL benchmark suite, with a strong focus placed on the robustness of applications, curation of additional benchmarks with an increased emphasis on correctness of results and choice of problem size. Preliminary results and analysis are reported for eight benchmark codes on a diverse set of architectures — three Intel CPUs, five Nvidia GPUs, six AMD GPUs and a Xeon Phi.